I love that you said it’s not about the art it’s about the study! I love that. Your method focuses on the Word, and that’s how it should be. Thanks for sharing! If it’s not the King James, it’s not a Bible. Your bible can look all flashy and colorful but what about your life? He is looking for those who worship in spirit and in truth. Are we spending as much time in worship as we are coloring our bibles? We can make our bible an idol. This video, for some reason, really helped my OCD, lol😂 Thanks for posting! I love that you emphasized making the Word come alive! That’s what its all about. Nicely done. May God bless your efforts. Never kiss your bible. It is a book. The Holy Spirit sometimes uses the bible to speak to you. I’d like to know more about the post-it notes too? Thanks for sharing. Where can I find your videos from sisterhood? You charge people to learn to read the Bible through the sisterhood??? Smh. You’re doing exactly what Jesus taught against. OH MY DAYS JUST THAT FIRST SHOT!! SO MUCH BEAUTY AND COLOUR. IM IN LOVE. I love the way you study. Thank you for sharing. I commend you on the fact that you are studying, that is great, but you are studying, and encouraging others to study, an incorrect version. A version that has been corrupted by man, leaves important words out etc. Next study needs to be KJV vs other translations. You put a lot of work into learning from a man made book instead of a God inspired one. 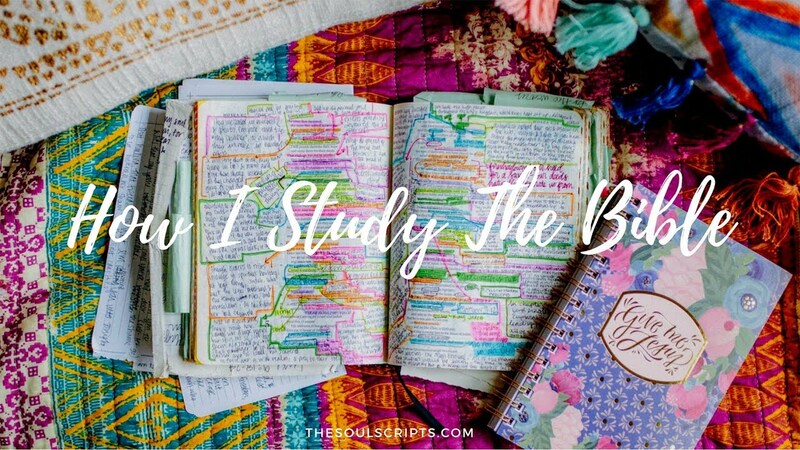 I love all the colors and notes, but I’d rather put it all in a devotional journal instead cause I would be so distracted by them (colors and notes) while trying just read the scriptures. But that’s just me. 😊 keep this up though, if it helps you to understand and study the Word of God. I love this!! I want to get that Bible now!! What size font this one? Is it the large print like in the link or is it 7.5? I sometimes go biblegateway.com to compare the 1599 Geneva Bible with footnotes to the King James bible. The footnotes of the 1599 Geneva Bible helps to explain the verses better for me. The 1599 Geneva Bible was used to create the King James bible and was the first bible in the Americas. I did enjoy your video.